I’ve been getting my weekly exercise with all the happy dances I’ve been doing recently. I’ve just heard that my story ‘Third time’s a charm’ will be published next week at Daily Science Fiction. I’ll provide a link soon. Also last week I received an acceptance for my story ‘The Dragon’ from Cosmos online. More details soon. Exciting newss. I have sold my story, Seven Sins, to Daily Science Fiction. Unless the Mayan prophecy becomes a reality, 2012 looks like it will be a good year. It has been a happy new year so far with two of my stories accepted during the past week. My story ‘Silence Broken’ will appear in Bards and Sages Quarterly in the April edition, and my flash fiction piece called ‘Hard Boiled’ will soon appear in Untied Shoelaces of the Mind. I’m excited to announce that I’ve sold my story ‘A Time to Kill’ to Daily Science Fiction. Release date TBA. Sales are always extra special when they’re markets that I subscribe to and this is also my first “pro-market sale”. There are some great stories on DSF and I’m looking forward to having my story among them. What happened after the happily ever after? This anthology has 31 stories that put a new spin on old tales. 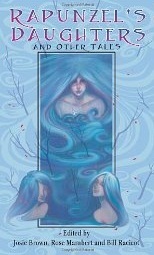 Included in the Rapunze’ls Daughters anthologys is my short story, ‘Dr Zum: psychotherapist to the surreal’. My short story, ‘Dr Zum: psychotherapist to the surreal’ has been accepted for the Rapunzel’s Daughters anthology to be published by Pink Narcissus Press. The Shades of Sentience anthology is now available to purchase online. 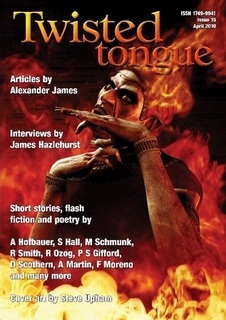 My piece of flash fiction ‘Story’ has been accepted to issue 15 of Twisted Tongue Magazine, which is out now. 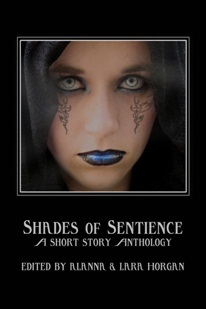 My story ‘Devil’s Dinner’ has been included in the Shades of Sentience short story anthology, which was launched at 2010 Brisbane Supernova in early April. 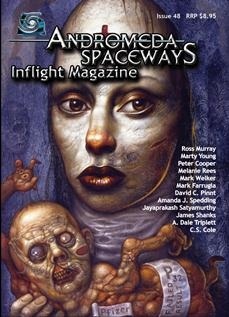 My short story ‘Holding’ will appear in issue 48 of Andromeda Spaceways Inflight Magazine (due out approximately October 2010). I have been a long-term subscriber of ASIM and they always have some amusing and bizzare tales from the world of SF and Fantasy.